Joy Flo (England) Beckel, 93, of Cardington died July 28, 2018 surrounded by family. Joy was born on December 29, 1924 in Columbus, Ohio to Chester A. and Maggie J. (Bishop/Rinbolt) England, both deceased. When she was one, her family moved to Marion, Ohio; where Joy was raised and where she attended Central Junior High and Thomas Edison High School. In 1942 Joy worked I weapons production in support of two brothers serving in the military during WWII. Joy met her husband, Cletus M. Beckel during this time, and in 1944 they were married in Xenia, Ohio. After the war Joy worked for General Electric Lamp Works in Bucyrus; leaving therein 1950 to have her first child. While raising two boys, Joy worked as a volunteer for the Red Cross and served as den mother for pack 25 of the Cub Scouts in Cardington. With her children grown, Joy returned to work, joining the U.S. Postal Service in 1973 from which she retired in 1988. 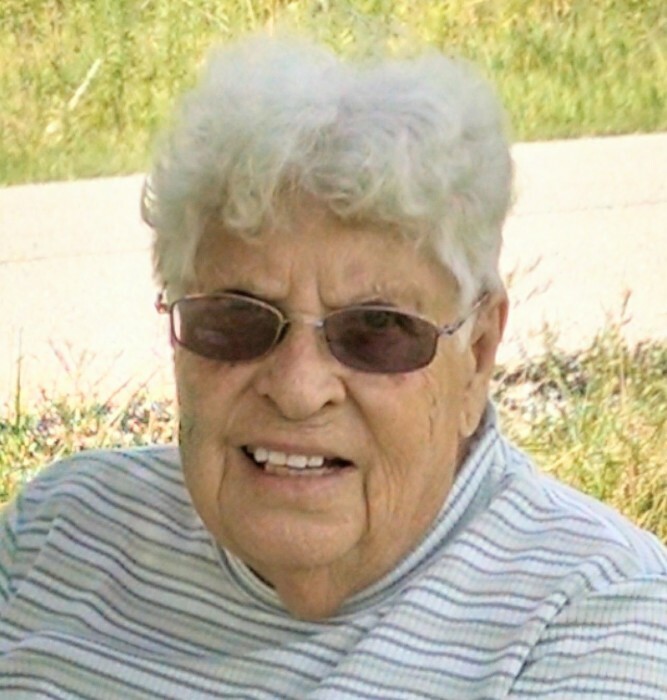 Joy became a member of the National Association of Retired Federal Workers upon her retirement and continued to support this organization until her death. In 2000 she became a Stephen Minister with the United Church of Christ, consoling the aggrieved and providing guidance and spiritual support to those in need. Joy was a member of the St. John United Church of Christ, which later became Peace Community United Church of Christ, for 75 years. During this time she served on several committees including the Pastoral and Funeral Committees and was an active member of the Peace Community Faith Circle. Husband, Cletus Beckel passed away in 1996; as did her eldest son, Larry E. Beckel in 1998. Joy was also preceded in death by: three brothers, Burnett, Art and Ray Rinbolt and five sisters, Della Rinbolt, Nevie (Rinbolt) Seal, Clarice (Rinbolt) England, Evelyn (Rinbolt) Shonk and Grace (Rinbolt) Fisher. Joy is survived by her son, Michael (Diane) Beckel, and two granddaughters – Rochelle and Zhana Beckel; as well as two step-grandsons – Kenneth and John Burris. Joy is is also survived by: four nephews – Robert England, William England, Rex (Bonnie) Beckel, and Allen (Penny) Rinbolt; and by two nieces – Betty Ford and Twilla Orians. In addition, Joy is survived by her daughter-in-law Wanda Beckel and sister-in-law Anita Beckel. Friends may call on Thursday August 2, 2018 from 9:30 AM until the beginning of the funeral service at 11:00AM at the Gompf funeral Home, 440 Center St. in Cardington. Pastor Joel Fetter will officiate, and the burial will follow in the Grand Prairie Cemetery. Memorial contributions may be made to St. Jude’s Children’s Hospital, Shriner’s Children’s Hospital or to Peace Community Church of Christ.